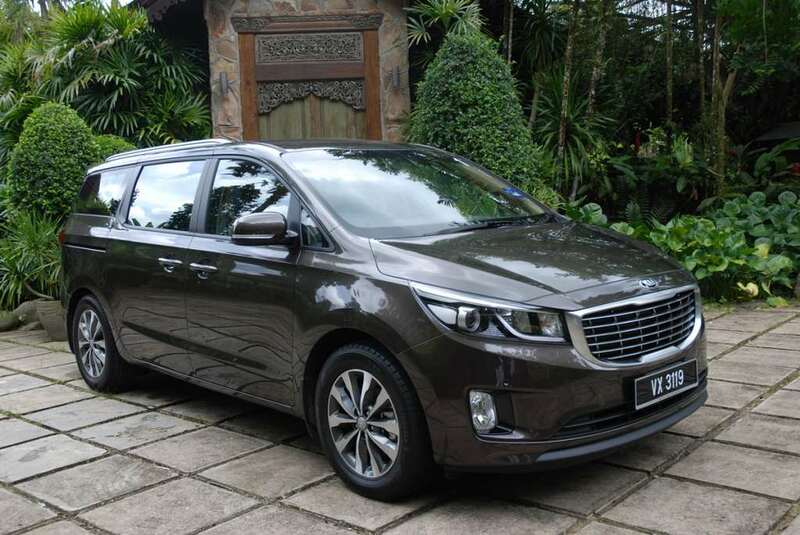 Let’s be real here, driving an MPV like the Kia Grand Carnival means that you are a family guy with a large family to haul and regardless of what the advertisement says, it’s not as glamorous or as trendy as driving an SUV. 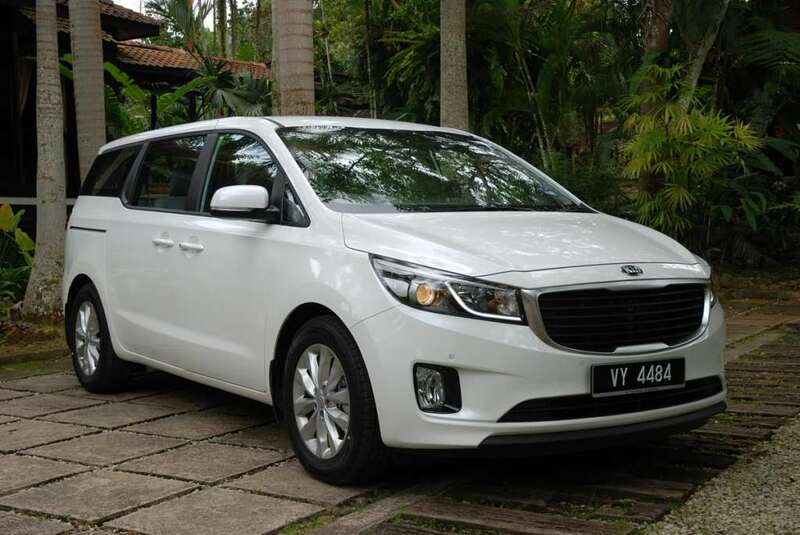 However, there are several reasons why we think the Kia Grand Carnival is a compelling choice for a people mover than any seven-seater SUV available in the market. Continue reading below to find out why. 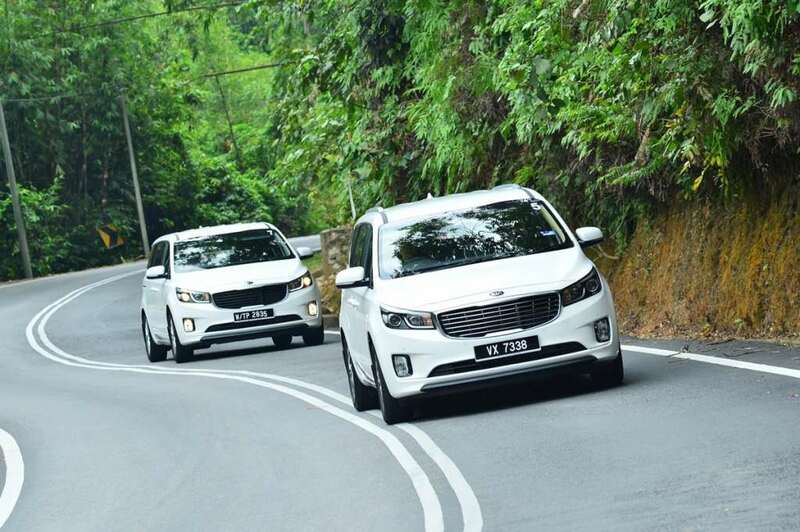 Compared to its predecessors, the Kia Grand Carnival has grown in terms of size, measuring 5,115 mm long (+190mm), with a longer wheelbase of 3,060 mmn (+155mm) and much wider at 1,985 mm (+85), but a shorter height of 1,740 mm (-65mm). 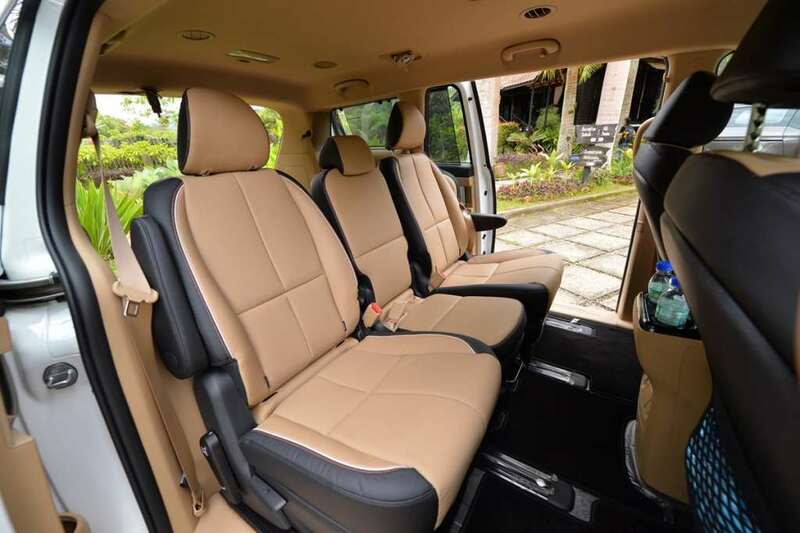 It is capable of providing ample seating for eight adult passengers including the driver, plus, unlike an SUV, the second-row seat inside this MPV can easily slide forward so don’t have to struggle to climb in an out of the vehicle from the third row seats and travel in style. 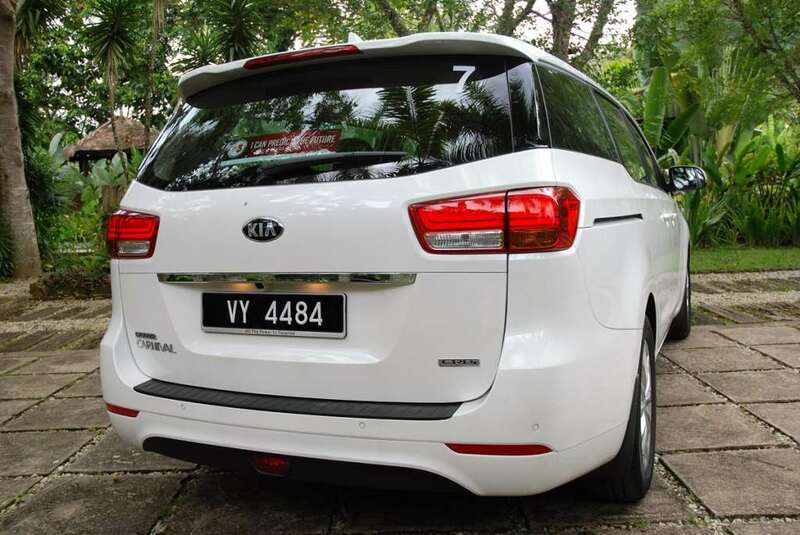 One of the MPV’s standout features is the smart powered tailgate which opens automatically when the key is sensed in close proximity. This is perfect when you are carrying a bag of groceries in one arm and a toddler on the other because the last thing you want to do in this situation is to dig out the car key from your handbag or pocket. My other favorite feature found in the Grand Carnival are the power sliding-doors which open automatically via a touch of a button. 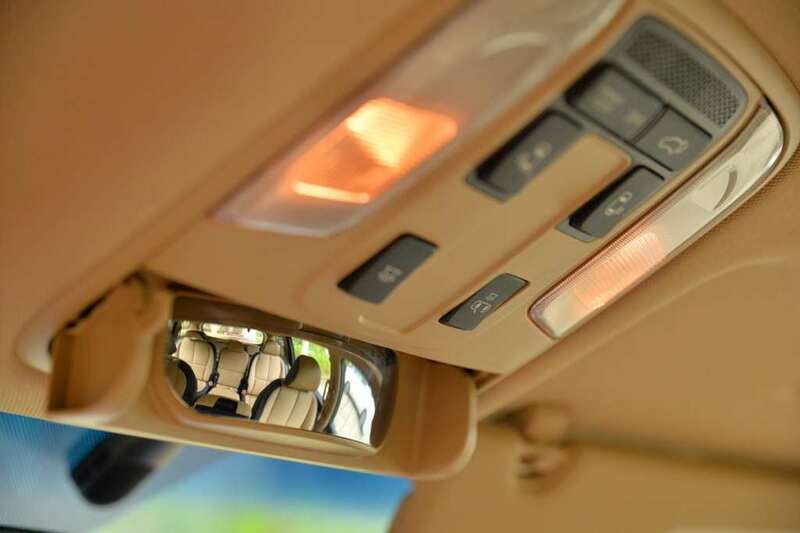 This makes typically cumbersome tasks like opening heavy minivan doors and going in and out of a tight parking space from the second or third row seats a lot more convenient. 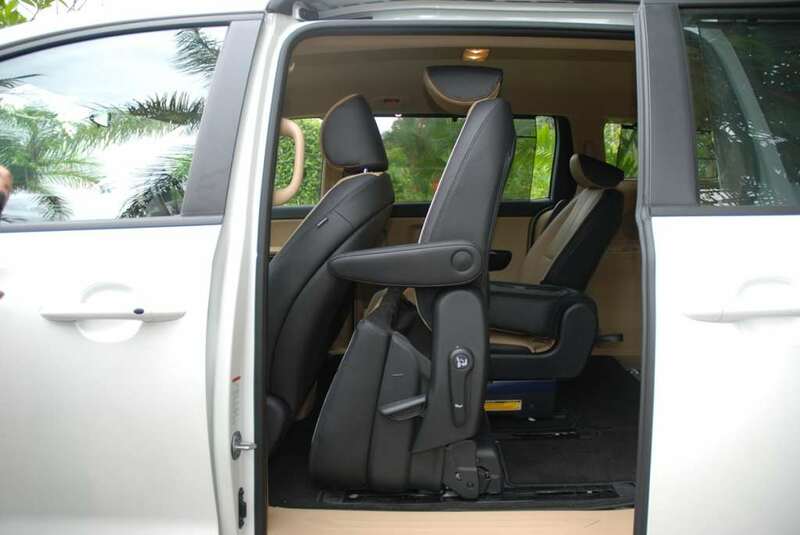 In fact, due to its large opening, installing a baby seat is a much easier task. 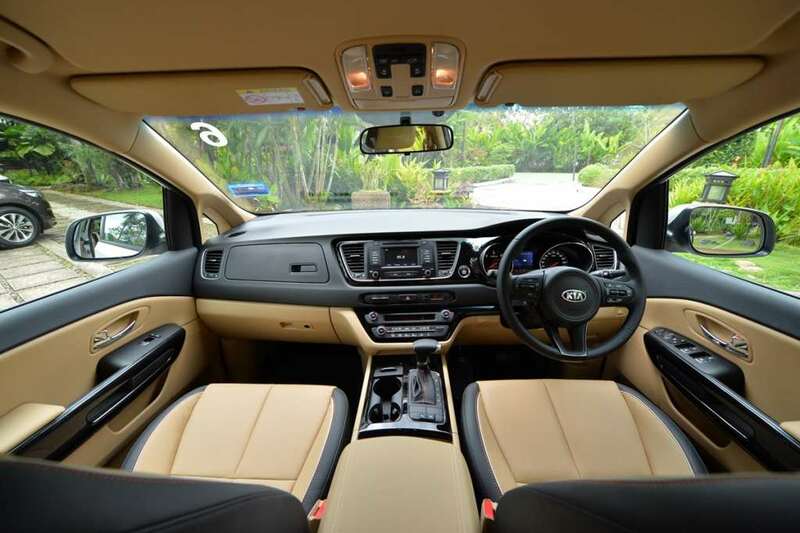 The interior quality and fit and finish in the Grand Carvinal is possibly the best that Kia has ever done. 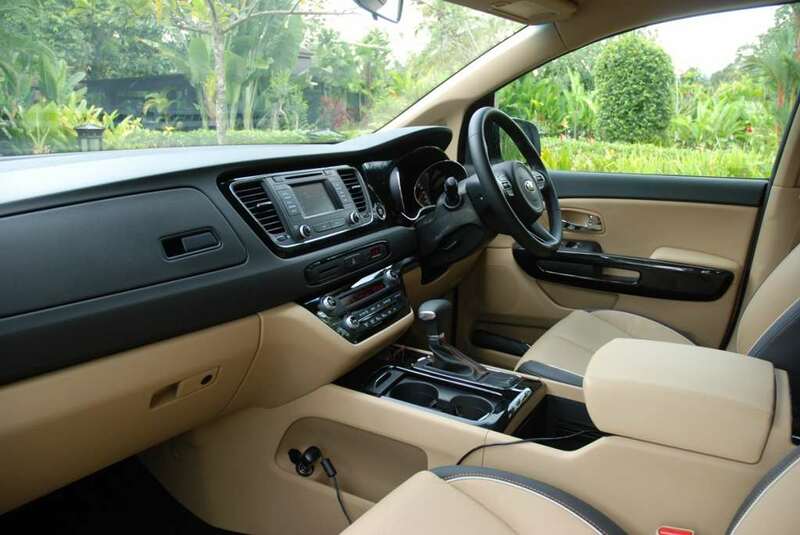 The materials and fabric used inside the cabin, especially the beige leather seats available in my test unit here give a brighter and luxurious ambiance to the cabin. 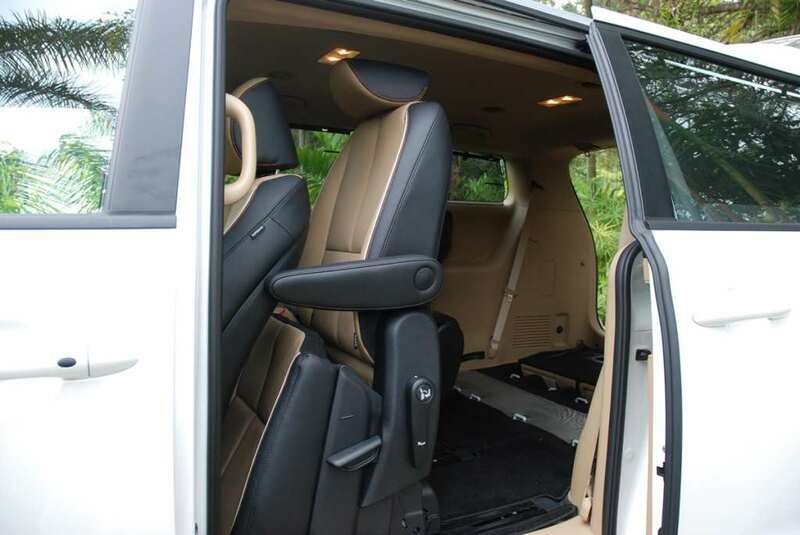 Not only that, leather seats are such a life saver for parents because it’s a lot easier to clean than fabric for any accidental drink or food spills. The interior of the new Grand Carnival has increased legroom space for its passengers. 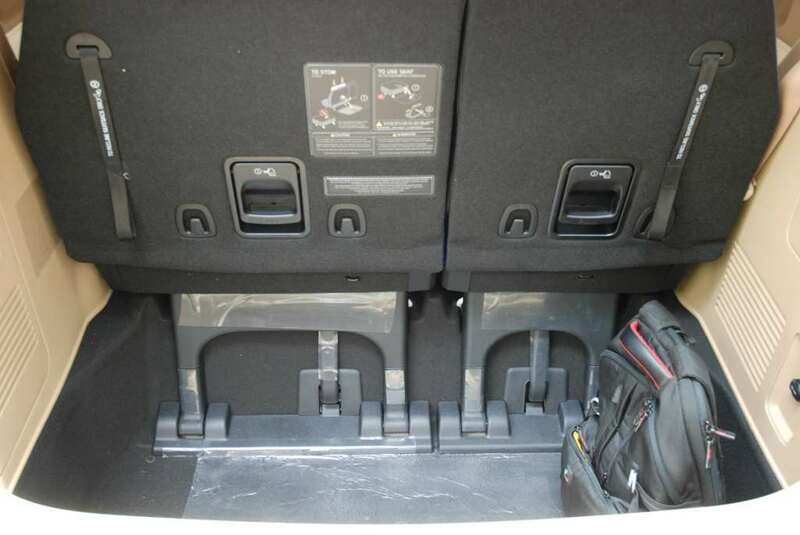 It also has a higher headroom space due to the lower seat cushions and by design, the roof of the Grand Carnival no longer slopes to the tailgate and this allows the third row passengers to have more headroom as well. However, I won’t recommend claustrophobic (tall) adults to sit in the third row seats because you will feel trapped and there’s hardly have enough room for you to stretch your legs compared to sitting in the second row seats. 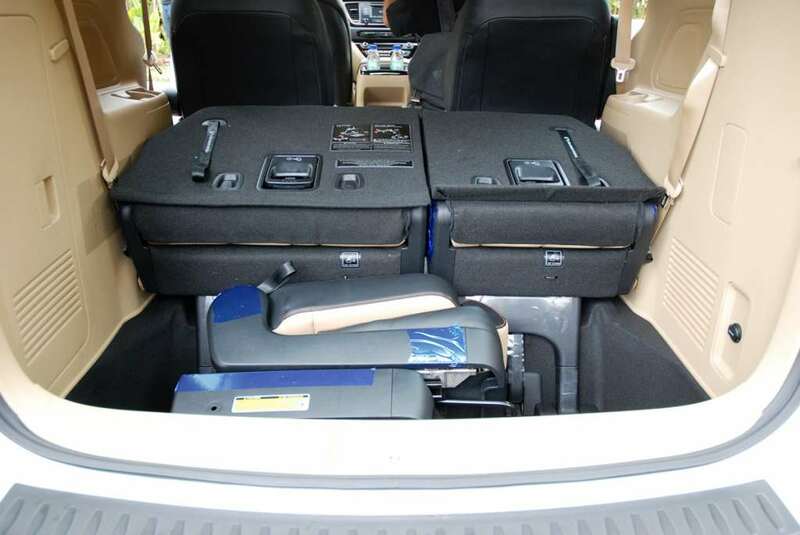 As expected, luggage space is impressive, especially if you fold the third-row seats down. 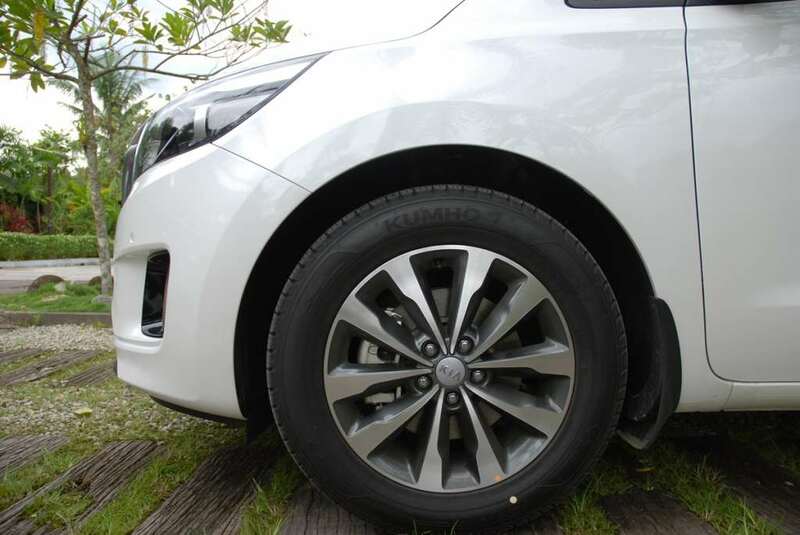 It offers 359-litres of cargo room with a deep rear floor, which could swallows the third row seats when being folded flat via its smart ‘sinking’ design. 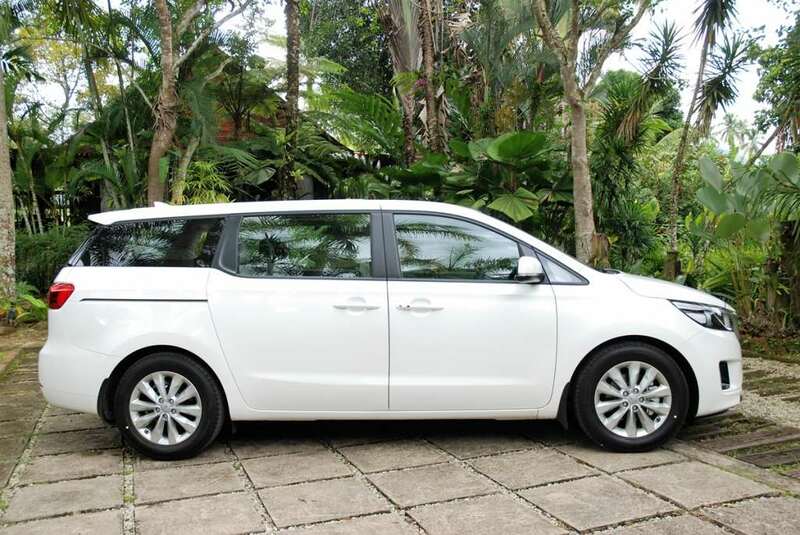 With up to 2,718-litres of cargo space with the rear seats fold flat, you will have enough room to fit a two-seat sofa or to stack four golf bags at the back without compromising sitting space for you and your golfing buddies. 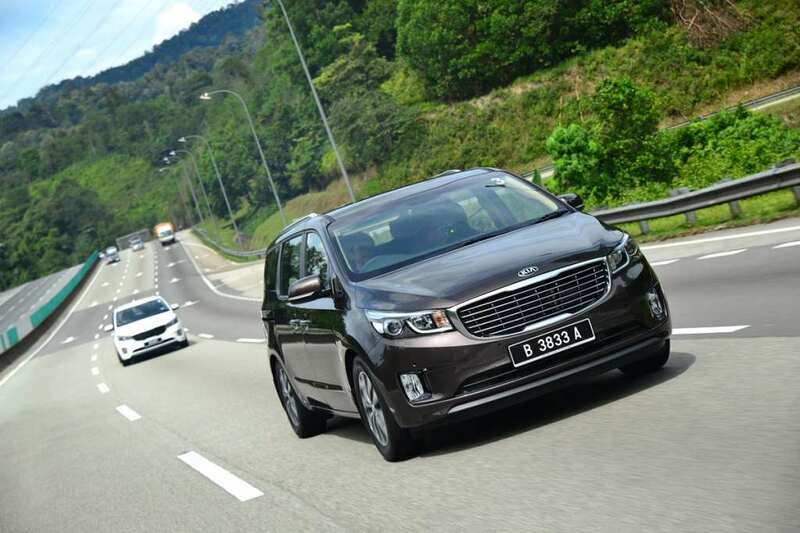 The Grand Carnival is a car designed with a family in mind. 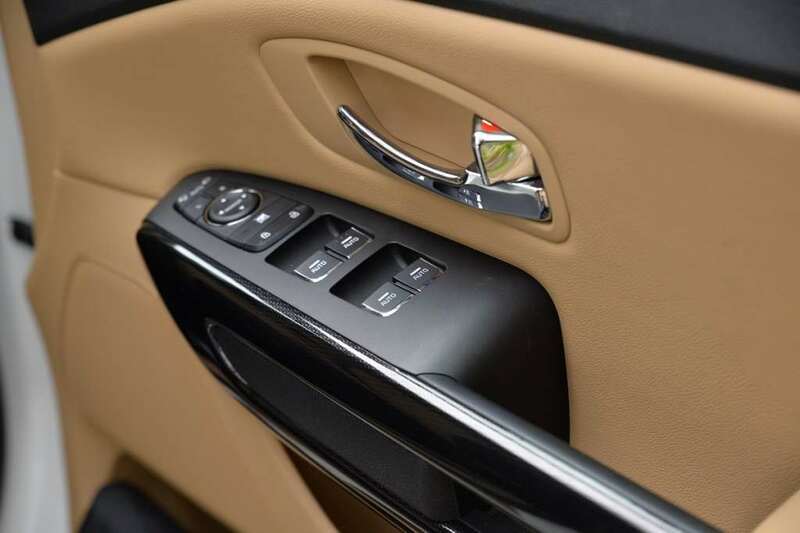 Besides providing a spacious cabin, you and your family will be able to enjoy a comfortable journey thanks to its dedicated air-conditioning vents found in each cabin row that allows you to choose and set your desired temperature individually. 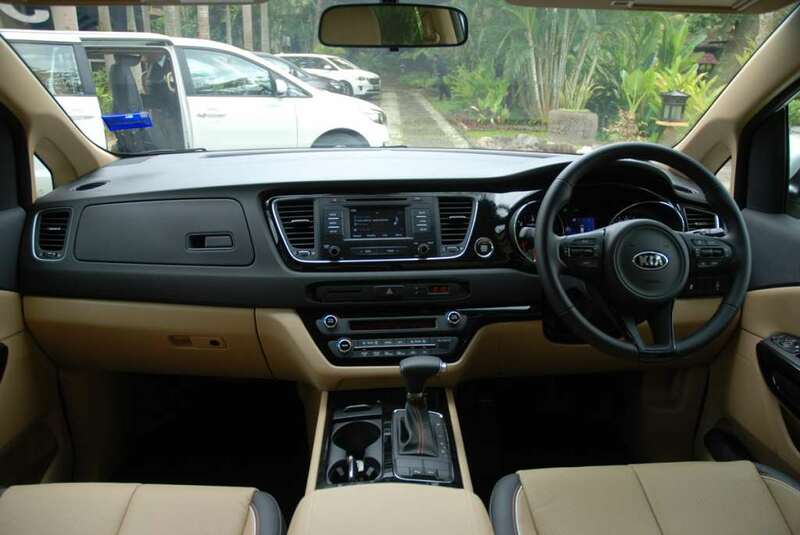 Aside from that, front passenger will have access to two glove compartments on the wide dashboard. 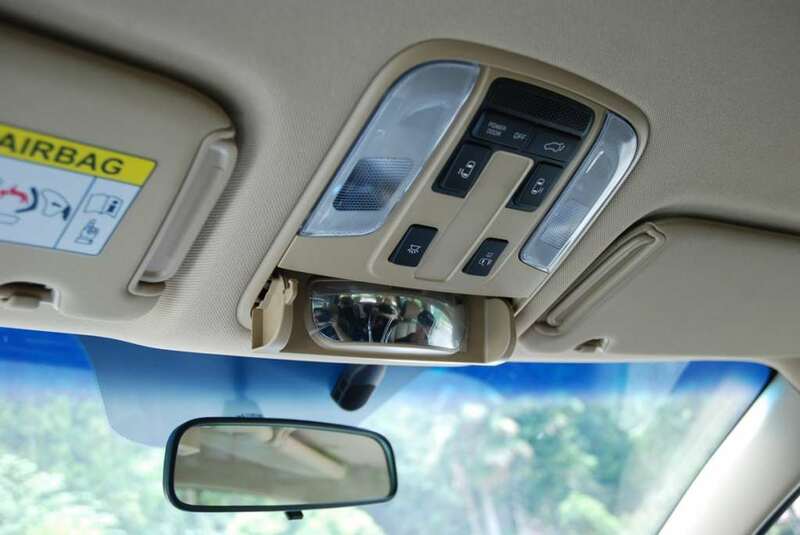 It allows you to stack small items like water bottles, sun glasses, wallets or even small bags away from curious eyes. There’s no less than 10 cups or bottle holders available inside the Grand Carnival, besides cubbyholes that allows you to keep small things like toys, iPhones and what not. 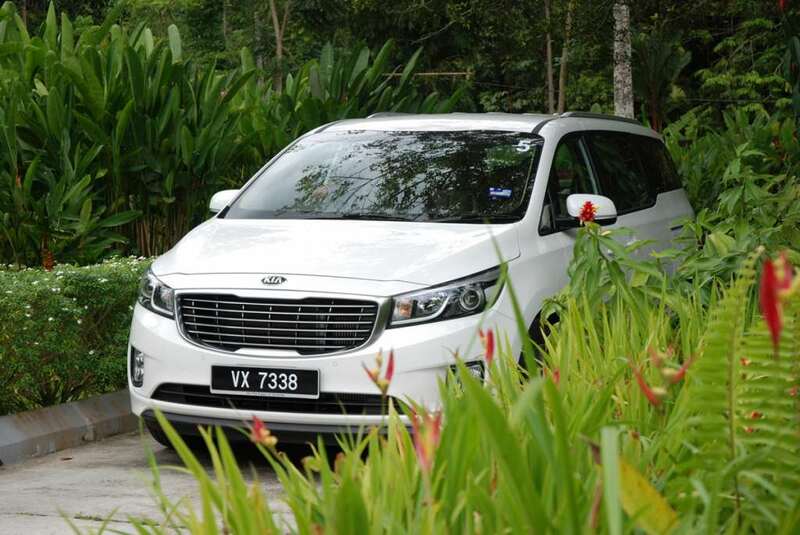 This makes this MPV practical for the children or even for nights out with your friends. 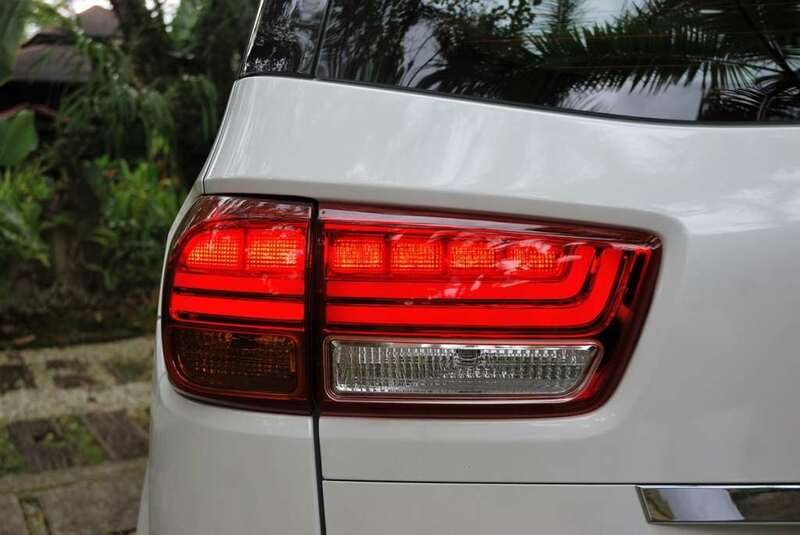 Given its large size, the Grand Carvinal’s rear view camera, front and rear parking sensors which are fitted as a standard feature in this MPV allows you to park your vehicle more efficiently. 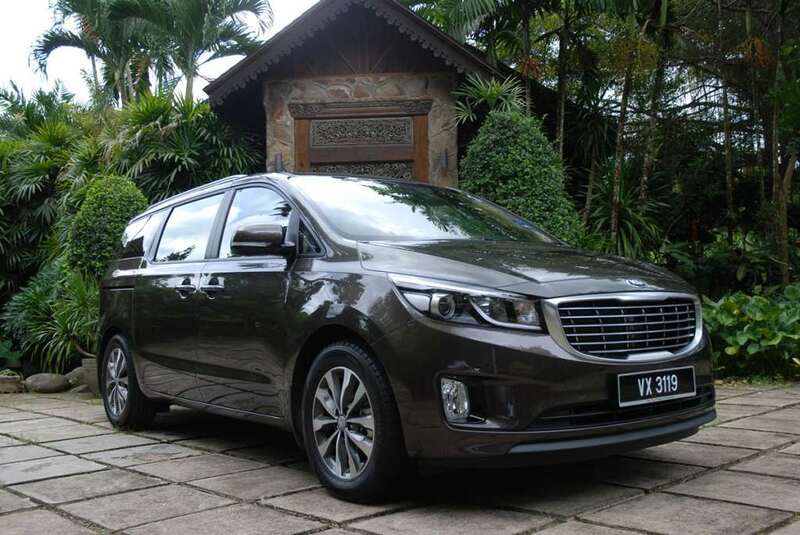 The 2.2-litre CRDi turbocharged diesel engine found under the hood of the Grand Carnival delivers a total output of 190hp and 440Nm of torque. 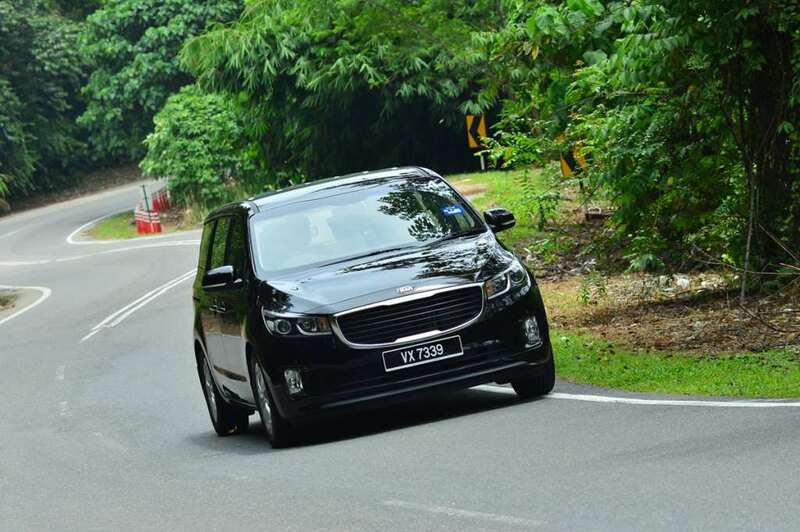 Power is sent to the front wheels via a six-speed automatic transmission. 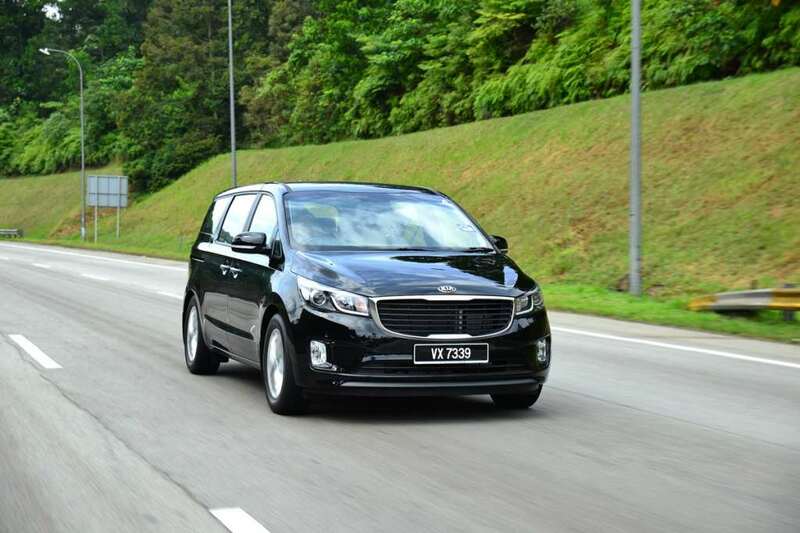 On first impression, there’s no denying that due to its relatively large size and a high seating position, I felt like I was driving a minivan than a car. 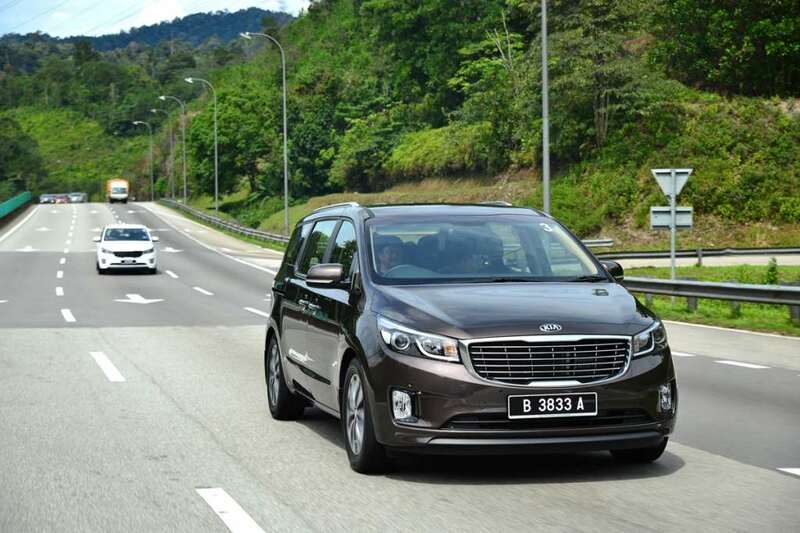 However, I had a commanding view of the road ahead and the power delivery is smooth and linear – which makes it reasonably pleasant to drive down the highway at decent speed. 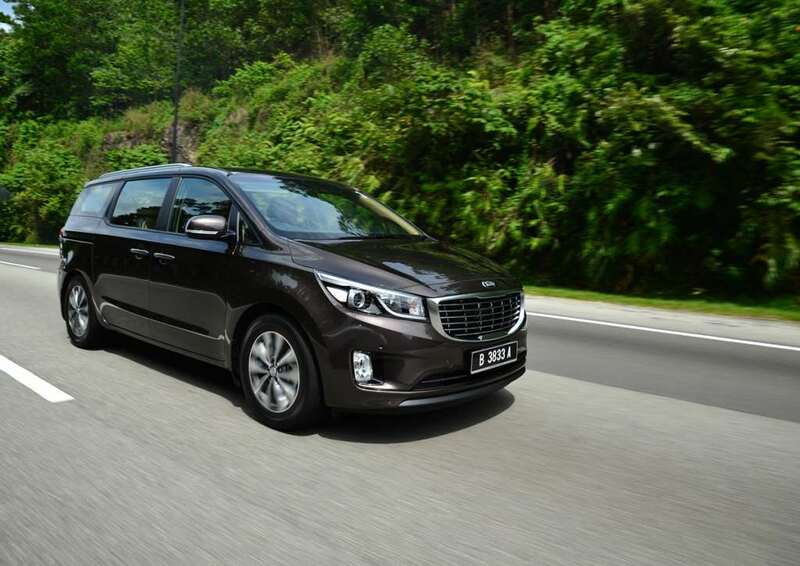 The Grand Carnival serves its purpose well as an MPV by providing its occupants with excellent riding comfort thanks to its the MacPherson front suspension and the multi-link rear suspension that’s tuned for soft and admirably quiet in-car experience. 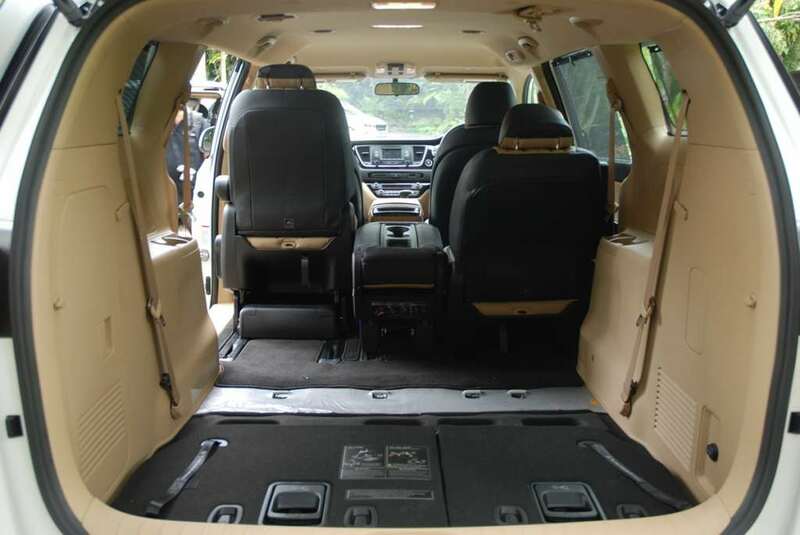 It insulates road bumps and potholes well enough so you can enjoy a relatively plush and relaxed ride, given if there’s no screaming kids in the back. 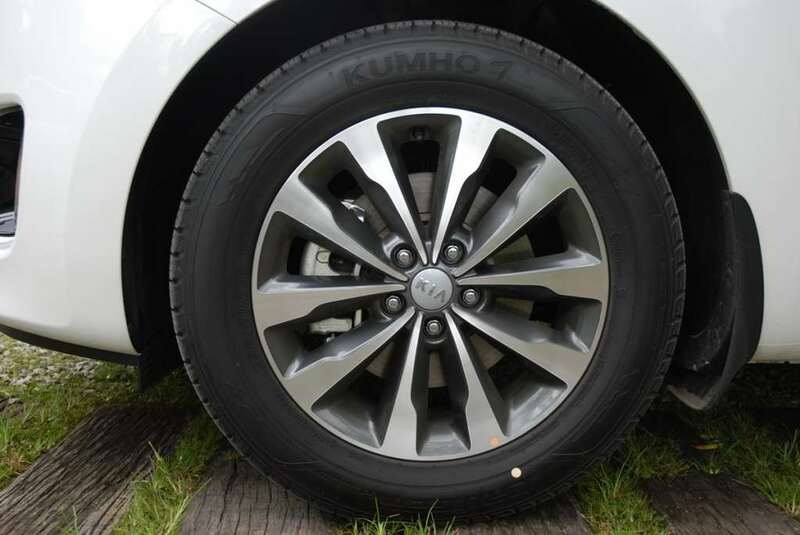 However, the fact that there’s not much steering feedback and it doesn’t grip well enough around corners with plenty body roll, it could potentially cause its passengers car sickness especially when driving down the twisty routes. 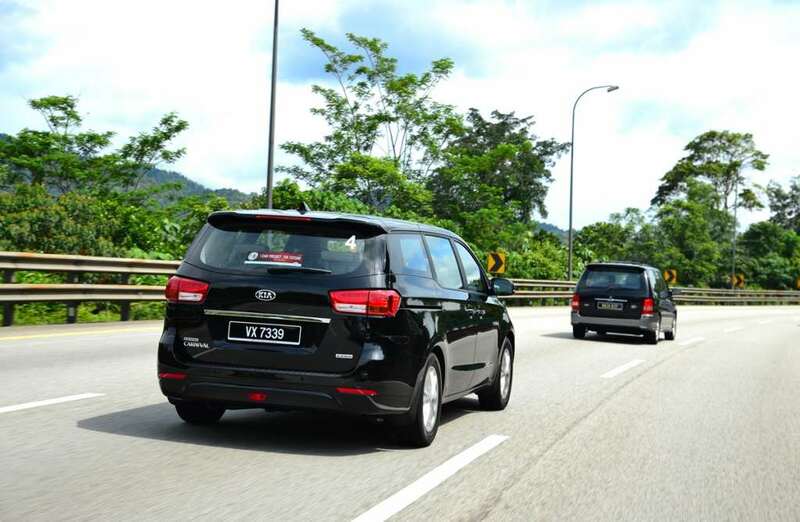 Being a family vehicle, safety is course a paramount. 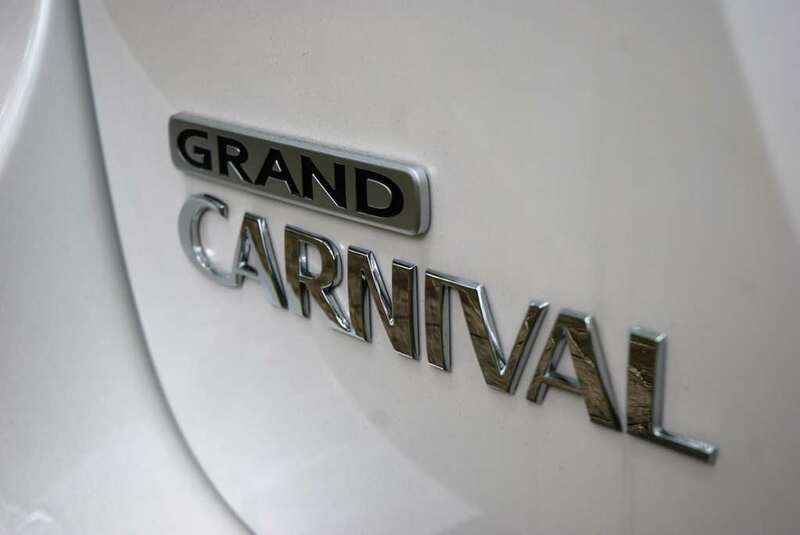 The Grand Carnival is fully equipped with all the safety feature you could possibly think of like Electronic Stability Control (ESC), Hill Start Assist System (HAC), Anti-Lock Brake System (ABS), ISOFIX child seats and 6 airbags to keep its occupants safe on the road. 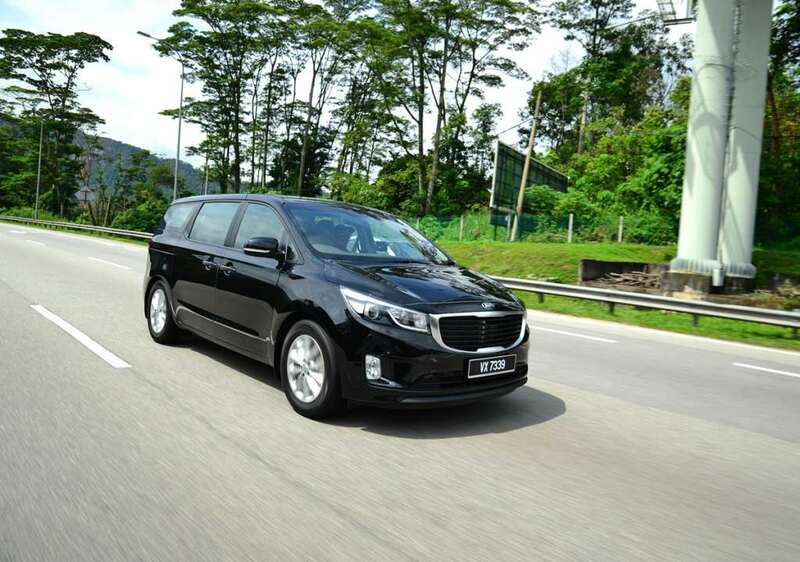 However, safety goes beyond equipping this MPV with all these features. 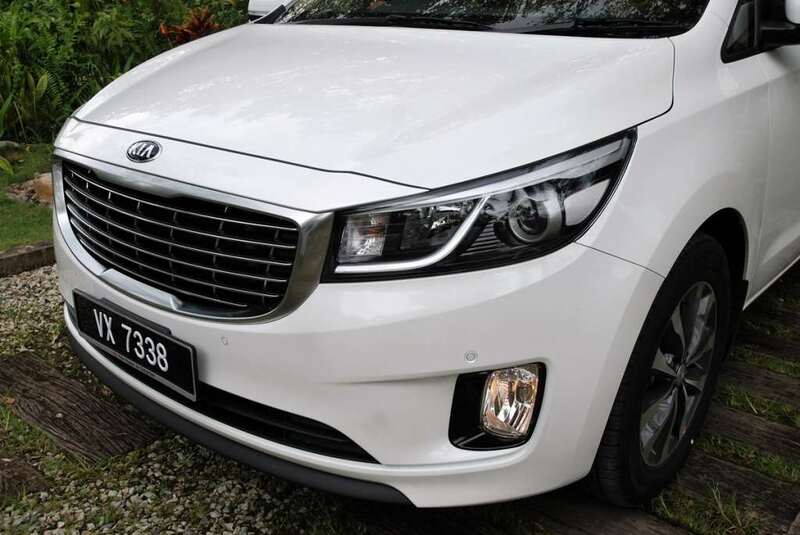 The Grand Carnival feature advanced high strength steel that improves impact resistance, body rigidity and performance as weight is reduced and the collision structure is reinforced. 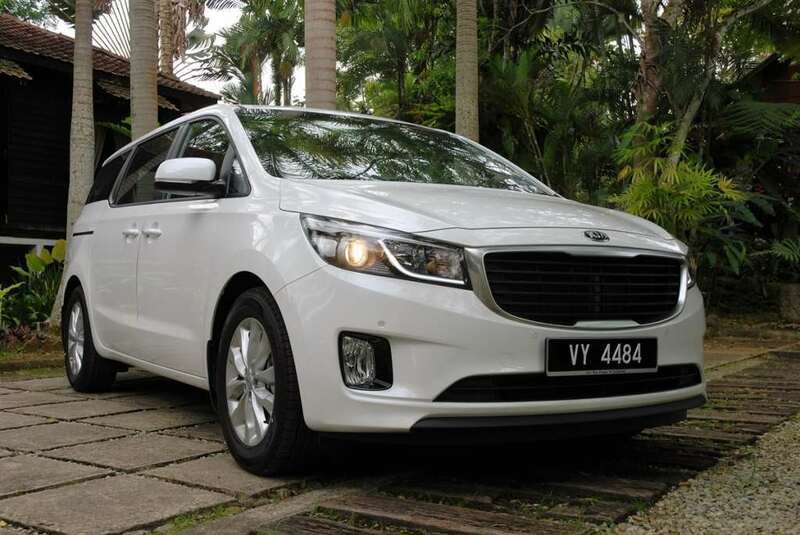 To fully demonstrate just how good the Grand Carnival can withstand an impact, the folks at Kia has performed their very own crash-test by dropping the MPV vertically from a height of 12.6 meters. As scary as it sounds, this vertical crash test doesn’t exactly look as violent as a regular frontal collision would – not to mention a collision with another car, instead of a stationary object. To give you a rough idea, dropping the minivan from a height of 12.6 meters is the same as putting it though a 56 km/h regular crash test. 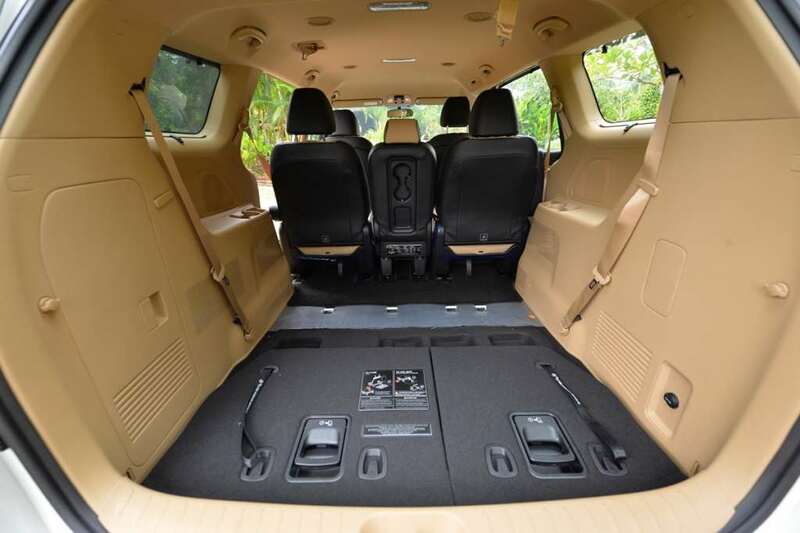 Thanks to the Grand Carnival’s high strength chassis, this minivan looks like one really tough cookie to crack where the safety zone remains almost unaffected, protecting the passengers inside the cabin. 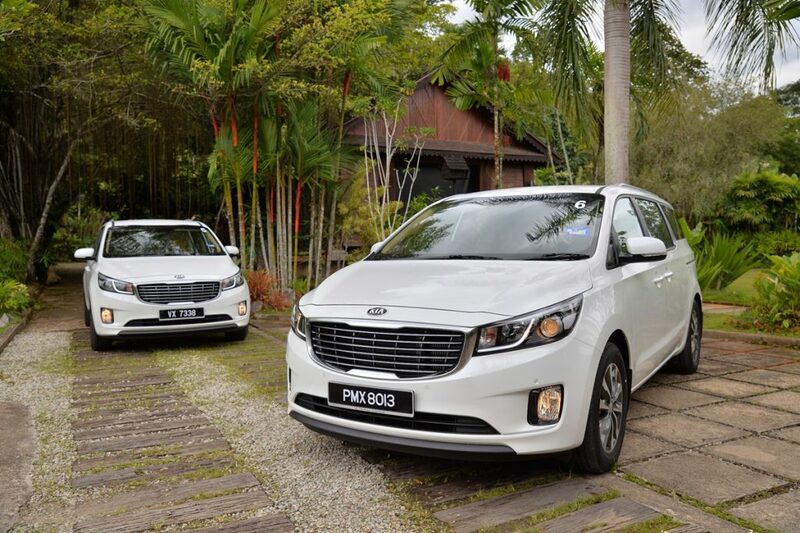 Buying the Kia Grand Carnival means that you have accepted the fact that your family is more important than you. 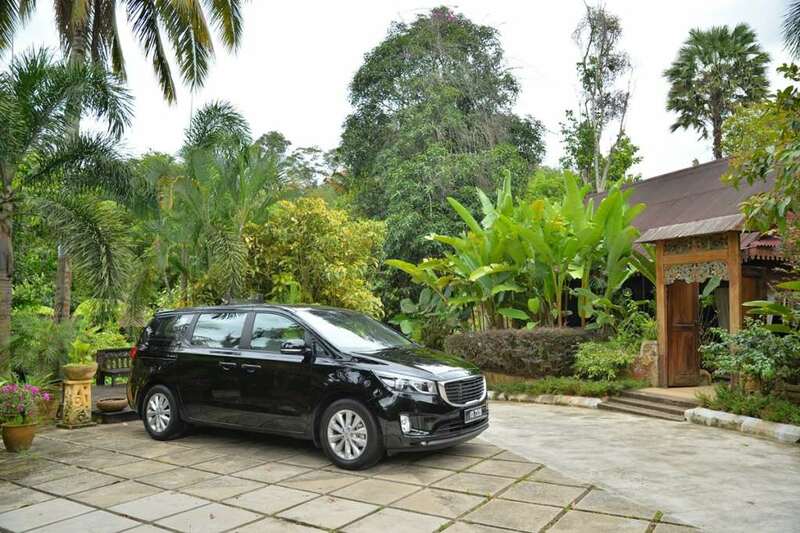 With all the goodies it offers power sliding door and smart tailgate, this MPV is well thought out for people seeking a luxury MPV like no other. 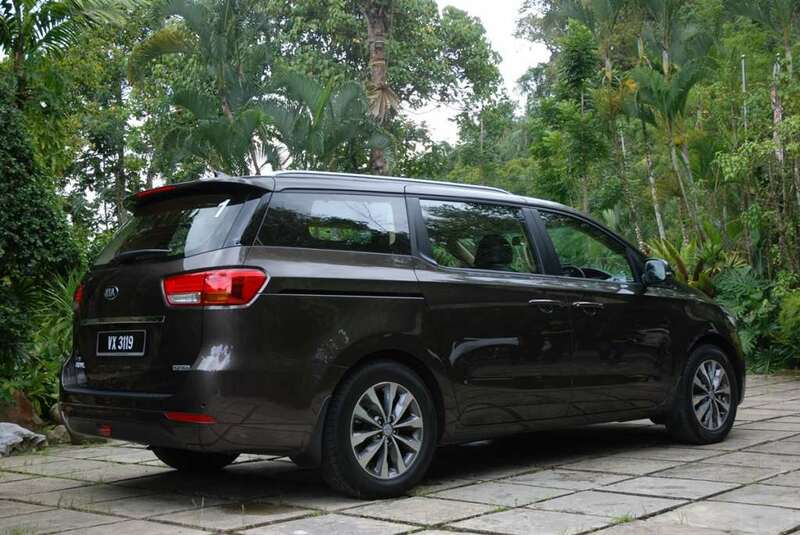 I also like the fact that this car is aptly named Grand Carnival because you can literally have a “Carnival” with your loved ones or friends in this MPV thanks to its spacious and luxurious cabin. 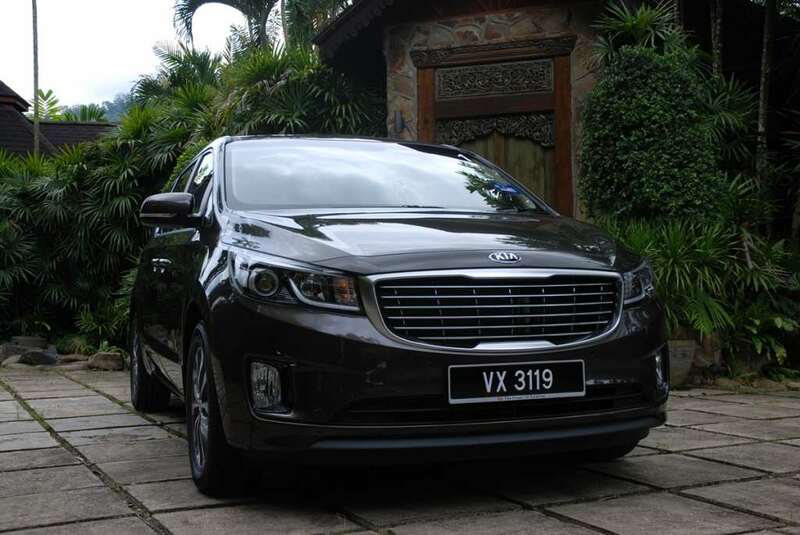 If you are in the market for a proper people carrier, the Grand Carnival is a much better option than purchasing an overwhelming variety of SUVs available in the market. 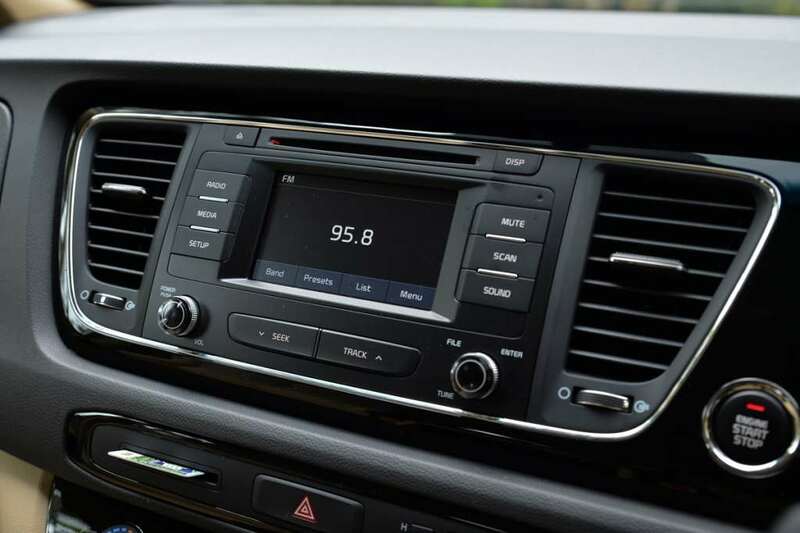 Can the Volkswagen Passat make its mark in the market?